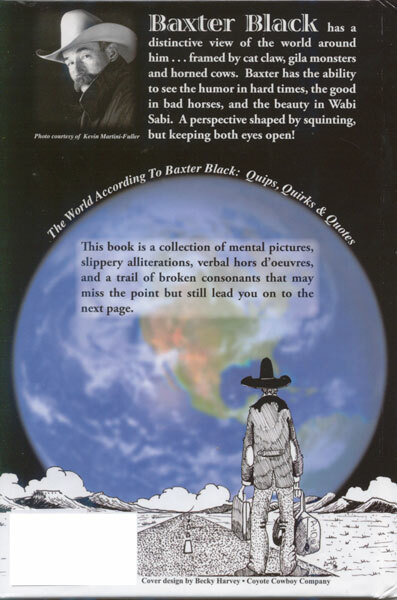 The World According to Baxter Black is Mr. Black's latest compilation of commentary. It's nearly impossible to avoid running into Baxter's work somewhere these days. Besides his litany of written commentary and novels, he has also done work for NPR and is now showing up on RFD-TV on a regular basis. The commentary in this particular work is augmented with illustrations from A-10 Echeverry, and it provides the perfect touch to finish out the deal. You don't have to work with stock to laugh at Baxter's stories and commentary, folks. It's not mean, either, just good, old-fashioned humor. 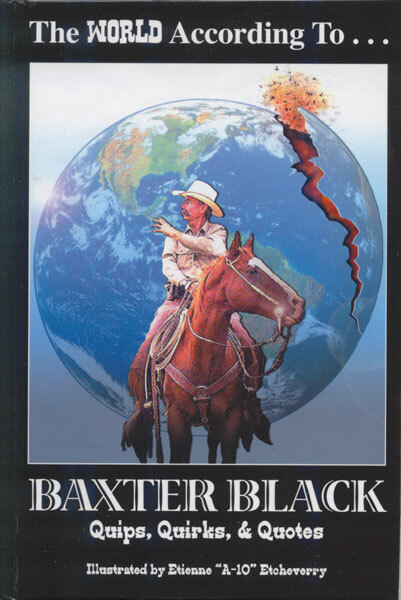 Baxter Black is the real deal, the Sagebrush Shakespeare, if you will. We even managed to coerce our poor cowboy poet friend to autograph these copies for y'all, so enjoy!